Leather jackets: the clothing cooler than I could ever hope to be. I still remember my first (faux) leather jacket from high school. It was a rich brown color, pre-distressed and with ¾ sleeves—a perfect long-sleeve fit on my short wingspan. I begged my stepmom to buy it and wore it anytime I thought I would be going to something “cool”...usually live shows for bands I’d probably cringe to think of now. 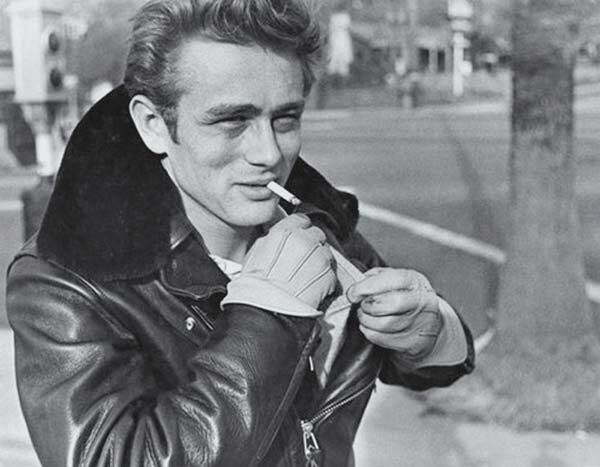 But man, when I wore that thing, I was James Dean. I was Nancy Spungen. I was a total badass (except I was a goody two-shoes and not actually a badass by any stretch of the imagination). In truth, it was fashion as exhibitionism for me; I could dress and feel exactly as bad as I wanted to be without the rap sheet. Funny how fashion does that. I want to talk about leather jackets this week as an...homage of sorts. A tribute to one of the few articles of clothing that transcends race, age, and trends to transform the wearer into a member of the world’s oldest anti-Letterman Jacket club. So, what makes the leather jacket so great? It’s got an incredible history dating back to WWI, when it was first worn by fighter pilots in not-so-insulated aircrafts. Through Hollywood’s original bad boys, 1970s rockstars, and off-duty 1990s models, the leather jacket has lasted fashion’s test of time. You also don’t need to have curves or be a size zero to fit into this piece. I love that anyone—given the right cut and color—can pull off a leather jacket. As its utilitarian shape suggests, the right fit creates a bold silhouette on its own. All it takes is the time and energy to find the perfect fit for you. And my favorite part about leather jackets? The materials for making faux leather have drastically improved in recent years, meaning that even animal lovers can stand in sartorial solidarity. Both jackets featured in this post are faux leather! So to answer the age-old question: yes, you can own a leather jacket. No, you don't need a biker nickname. Check out a few of my favorite leather looks on Pinterest below!